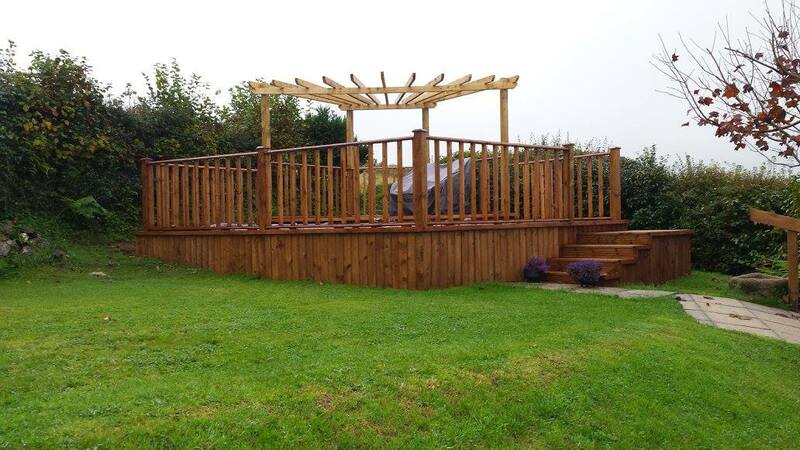 welcome to Plymouth Quality Decking and Fencing - as Plymouth's number one deck and fencing installation company, we offer excellence in creative designing and a well organised and professional build process which leaves you with an incredible finish we know you'll be amazed with. 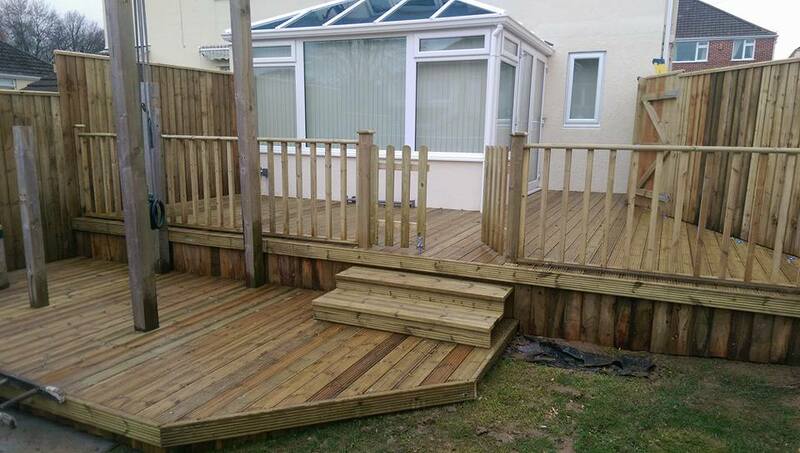 Our decking installers provide a home improvement that will add value and wow factor to your property. We aim to compliment your home by providing patio decking, gargen decking, walkway decking, pool decking and more, to a standard that has all your visitors asking for our details. Our comprehensive Fencing services mean that you do not have to look any further for a supplier who will source, deliver and install the exact fencing your property needs. Creating the aesthetics and security that good quality fencing provides. We offer a variety of quality decking including composite decking right through to sustainable tropical hardwoods. From simple, small designs to the large extravagant show pieces, at Quality Decking in Plymouth we will deliver exceptional work and change your property for ever. We can recommend the most suitable materials to use based on your budget and the overall finish you are looking for. Our team of highly talented carpenters and fitters will not cut corners and during the decking installation if we think the quality work required will take more time than initially agreed then we would rather do that than rush to finish under standard work. During our years of experience of deck fitting in Plymouth we have provided our customers with incredible garden decks, deck balconies, decking walkways and much more and are excited about extending our portfolio. We would be delighted to speak with you about your idea and even happier for you to choose our company so we can exceed your expectations and create another quality outdoor decking we can be proud of. We aim to be competitive with our quotes, which are 100% obligation free. Our customers understand that quality workmanship from experienced trades people costs more than someone your mate knows down the pub, who promises to knock up some decking for you in a weekend! A patio deck can make a massive improvement to your back garden, it will also reduce garden maintenance and provide a perfect place for entertaining or relaxing during your leisure time. Patio decking fitters need to establish the correct type of material you prefer and design the exact lay out. Plymouth Top Deck Decking will ensure your decking install will be picture perfect. Because of the steep nature of some gardens in Plymouth a raised deck may be the best option. This requires more of a structural build and design. When searching for decking companies in Plymouth make sure they have the necessary experience in building these often complex structures. Our raised decks will always be built to strict regulations and we are proud that the end result will be solid, sturdy and have a perfectly tailored finish. Decking walkways and paths are a fantastic feature to build in your garden. Decking companies in Plymouth do not always offer this service but we are more than happy to build your complete garden path or walkway. From a small feature path to a long, winding walkway our team of decking fitters can design and build it to last for many years. Whichever type of decking material you prefer, at some point it will need to be professionally cleaned. So for all decking maintenance and decking cleaning we are only a phone call away. You know it’s a job that you have been meaning to do for ages, the moss, mould and dirt is getting toyou every time you look out to the gardrden! We provide a fast, efficient service which will save your time, stress and confusion on how to go about the work required. One of the biggest decisions to make when choosing your decking is the type of material you use. Essentially there are 3 different products that we offer when providing a decking quote for your property in Plymouth. You can look at the services section of our website for a more detailed explanation on the pros and cons of each material and how it effects the cost of the work. Why Choose Plymouth Quality Decking? When we pay for services for our own property there are a number of things that we expect. So as a company we treat every piece of work as if it is for our very own home. 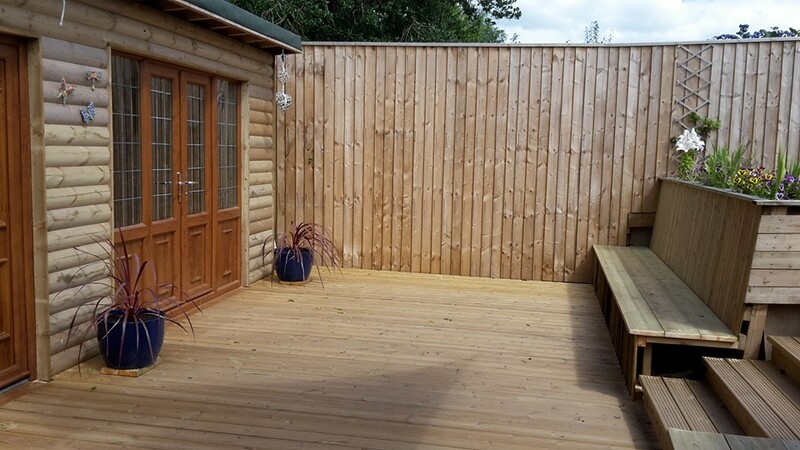 Aesthetics plays a massive part in our decking and fencing company here is sunny Plymouth, Yes, you need a sturdy and well-built decking, fence or shed. But it has to look right and fit in with the design of the property and we need to look at this work on completion and feel proud. We would love for you to give us the opportunity to feel proud about the design and work we have done with your fencing installation.